The country crowned its fifth silage king on 18 September during the annual ALFA gala dinner and prize-giving ceremony. The winner in this year’s Santam Agriculture Silage Competition is Westend Landgoed – an excellent performance seeing as they also won the 2017 competition. Hanlie Kroese of Santam handed the award to Hano Lombard of Westend Landgoed during the gala dinner. In the schools category Agri Merensky was crowned as the overall winner. This is an excellent achievement, as Agri Merensky also won first place in the category for feed sorghum silage. 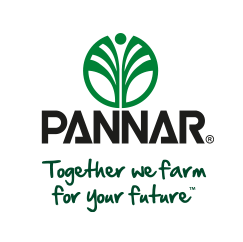 This year’s prize sponsor was PANNAR Seed, who sponsored bags of seed worth almost R100 000 to the three category winners as well as the overall winner and the schools category winner. 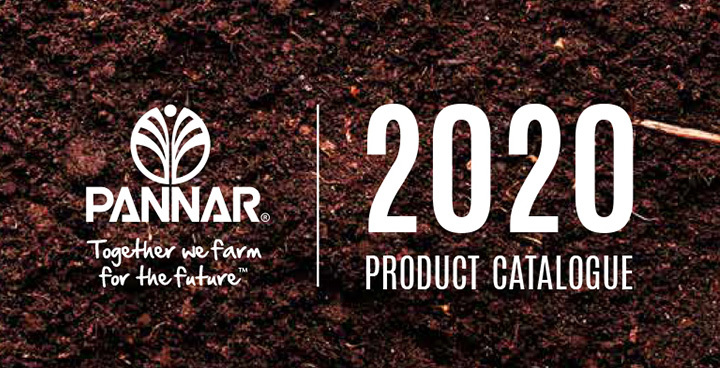 PANNAR also participated at other levels by entering clients’ silage, as did Santam Agriculture, the competition’s main sponsor. Both these sponsors had entries which not only made the top ten, but also won a category or ended in the top three of a category. The gala dinner was preceded by a silage symposium during which the chairperson of the silage protocol committee, Prof Robin Meeske, explained some of the trends emanating from the competition data. Among others, he referred to data regarding dry matter content which has improved significantly over the five years of competition, as well as stage of ensiling and aerobic stability which have improved. Areas in which improvement is still needed, include compaction and sealing off of the top layer. The category winners were also announced during the symposium, with the big announcement of the overall winner which took place that same evening at the gala dinner. Overall winner and winner in the category maize silage: Westend Landgoed, Hano Lombard, Morgenzon. Bunker entered by Nutribase. Second place, category maize silage: Rusticana Diary, Daan Malan, Bethal. Bunker entered by TWK. Third place, category maize silage: Riverlee, Peter Griffin, Mooi River. Bunker entered by PANNAR Seed. First place, category feed sorghum and overall winner schools: Agri Merensky in conjunction with Limpopo Dairies, Louis Trichardt. Bunker entered by Santam Agriculture. Second place, category feed sorghum: Green Star Contractors, Jarren Hurwitz, Davel. Silo bag entered by Green Star Contractors. First place, category oats (small grains) sorghum: Dasvlei, Johan Mostert, Philadelphia. Entered by Leading Edge. Second place, category oats (small grans) sorghum: Droëvlei, Coenie Basson, Darling. Entered by Leading Edge. Fourth place overall: Elandsfontein, Leon Meyer, Fochville (maize – silo bag entered by Budissa Agroserve). Fifth place overall: Limpopo Dairies, Joubert Fourie, Louis Trichardt (maize – bunker entered by Leading Edge). Sixth place overall: Limpopo Dairies, Joubert Fourie, Louis Trichardt (maize – bunker entered by Strapping & Profile). Seventh place overall: Welgemoed, Toit van der Watt, Tweeling (maize – bunker entered by himself). Eighth place overall: De Goedehoop, Dr Paul Theron, Davel (maize – silo bag entered by Green Star Contractors). Shared ninth place overall: LAT Feedlot, Louis Tractchler, Winterton (maize – bunker entered by Afgri Animal Feeds). Shared ninth place overall: Sparta Beef, Sello Ntjoboko, Taaiboschbult (maize – bunker entered by Sparta Beef). Tenth place overall: Bag Afrika, Gordon Brown, Vryburg (maize – silo bag entered by Budissa Agroserve). Keep an eye out for further articles regarding the data from this year’s competition, as well as a visit to our overall winners. The 2019 competition will open for entries in December. Watch the press for details.